Your coaching team have years of experience teaching and coaching all over the world from first time skiers to world class athletes. They all hold their BASI ISTD level 4 qualification and French equivalent and with these they have helped all our clients reach their goals and pass their instructor exams. With over 20 years’ experience under his belt James is the co-founder of PDS Academy, along with Craig Robinson. 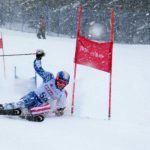 Starting off at the tender age of 10, James quickly rose through the ranks to become a member of two British Ski Teams in both Alpine and Telelmark racing. 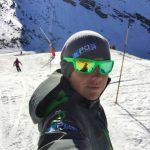 Since retiring from racing, James has become a BASI trainer in both Telemark and Coaching, delivering courses in the UK and abroad. 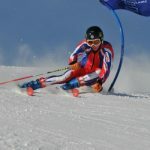 He was an active coach for the British Junior team and has a keen interest in developing young skiers from grass route level upwards. 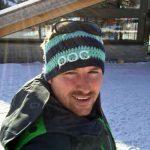 James is a qualified as a First Aid trainer and has run courses for all instructors ranging from gap students to ski school directors. Along with James, Craig is the co-founder of PDS Academy. He has over 20 years’ experience on the slopes, with 10 years of that internationally. Craig has raced in the ski cross World Cup and represented Great Britain in the 2009 World Championships. 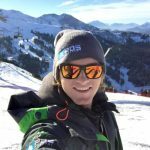 Craig is qualified to the highest international level and has tutored many ski instructors through the Eurotest and instructor exams. He has also coached athletes through the World Junior Championships. Craig represented the British Association of Snowsport Instructors at Interski, the largest snowsport conference in the world. Scott joined PDS Academy having completed a successful stint skiing for Scotland and the British Development team. His international career took him to the most well-known ski courses, all around the world. 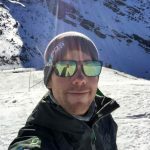 Since passing his BASI qualifications with flying colours, Scott has helped many ski instructors pass their exams and has worked for various ski schools teaching at all levels. He has now settled in Portes Du Soleil and continues with his passion for teaching. During the summer months, Scott heads to Australia to coach up and coming ski racers. In his spare time he can be found by the sea, teaching his other passion, sailing. Ben joined PDS Academy with a free spirit and a passion for freeriding. 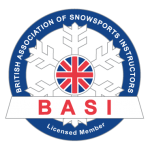 As a fully qualified BASI Instructor, mentor and coach, Benhas experience coaching all levels of BASI training. His teaching style is adaptable and unorthodox – he has even been known to pull a backflip mid race. 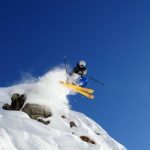 If you are looking to develop your skills off piste in Morzine, Avoriaz, and Les Gets, Ben will be the instructor to take your skiing to a new level. 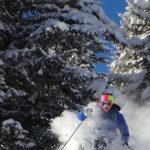 Tom is an experienced ski instructor, working in the industry for over 10 years. 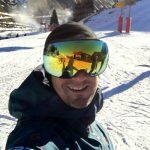 He has worked all around the world teaching and coaching all levels from beginners through to ski instructors. He has been based in Morzine for the last three seasons and is an integral part of the team. Tom specialises in the snow park and has impressive backcountry skills. Tom always builds a great rapport when teaching children and makes learning fun through adventure. In the summer months Tom works at the Castleford Snozone, where he trains local instructors, coaching them for their upcoming exams.